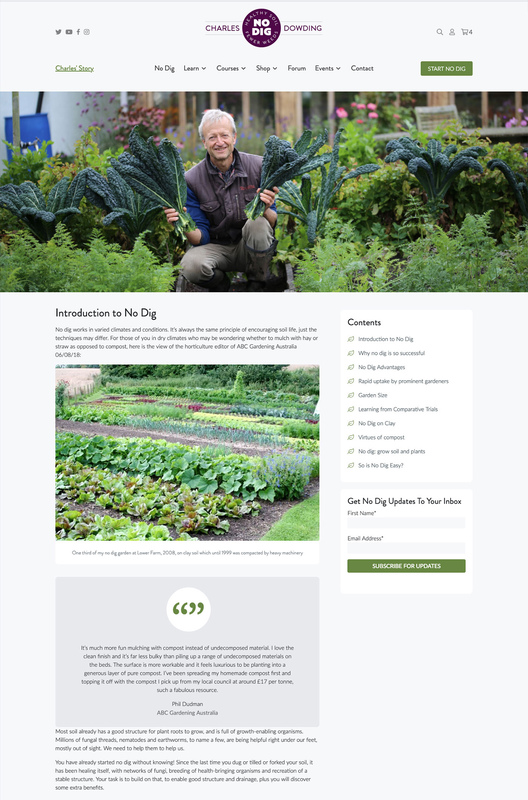 Award-winning gardener Charles Dowding wanted us to overhaul his ecommerce shop, blog and community. Ecommerce shop, blog and community overhaul. The design for Charles Dowding’s new website is clean, clear and structured so that it allows Charles to showcase content, products as well as social media updates. Below you can see the design for the homepage. A really important consideration was how we could make Charles’ often 1500 word articles as easy to consume for his visitors as possible. You can see in the design below we’ve incorporated a sticky ‘contents’ block that features the key points from the article and allow the user to click on each point to jump to that section of the article. 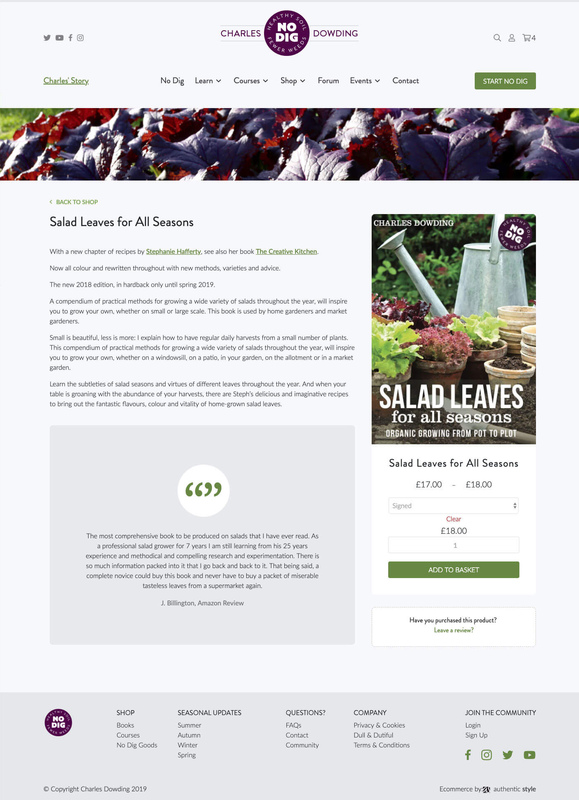 Our layout for the product pages allows Charles to provide detailed product information in a concise way and makes it easy for visitors to purchase. We knew the majority of shoppers would be on mobile so we utilised a sticky navigation bar to make browsing the shop easy. The single page checkout focuses users in on making a purchase.